Whether you are displaying art, selling it, or you have just bought something for your own collection, to have valuable artwork in the possession is always a pleasure. However, it is also a big responsibility. So how to make sure your precious belongings are protected? First of all, never skimp on fine art shipping services in NYC or elsewhere if you need to relocate the high-value artwork to another location. Improper handling is actually one of the most common reasons for art damage, so if you want to protect your valuables in transit, to hire experienced art shippers is undoubtedly a wise solution. But is it enough? Unfortunately, not always. Another essential step is to purchase appropriate insurance for fine art. What should you know about it? It is important to note that while many people think that artwork is covered by standard renter’s/homeowner’s policies or commercial property insurance, it is usually not the case. The truth is that most insurance forms exclude works of art or greatly limit the coverage, which makes them almost useless if something happens to the artwork. For this reason, it is very important to purchase additional insurance for fine art, especially when your precious possessions should be relocated. The good news is that there are many specialized insurance companies, as well as professional fine art shipping companies, offering comprehensive art insurance services to everyone who wants to protect his or her treasures in transit. 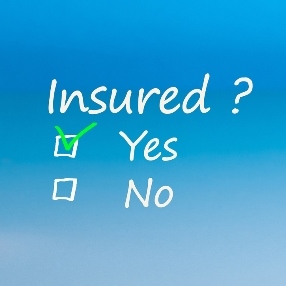 You simply need to choose the right coverage suitable for your particular situation. When choosing insurance for fine art, make sure the policy covers all possible situations that could affect your artwork, such as theft, natural disasters, fire, and damage from accidents during transit. Besides, the chosen insurance for fine art should cover both restoration (partial damage that can be repaired) and replacement (in case the artwork is completely destroyed or stolen). Plus, since repairs often reduce the market value of art, you may also want your insurance policy to cover the lost value. Whatever questions you have about insurance for fine art required for the transportation process, feel free to contact Fine Art Shippers! Our partnering insurance companies provide specialized services tailored to meet specific demands for the security of artworks in any situations. We will help you protect your art and save you unnecessary headache!